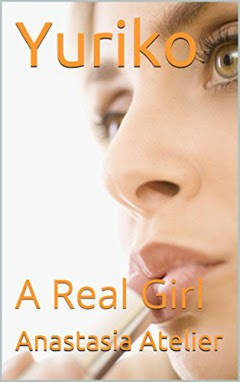 New release Yuriko: A Real Girl by Anastasia Atelier is only 99c for a limited time! If you could create the girl of dreams, would you? Well Joe did. And his life and that of his friends will never be quite the same again as Yuriko is downloaded into their lives. Yuriko is a bleeding edge bit of AI packed into a curvaceous high-tech chassis. Follow along as Joe, Devon, Zoe, and Nicole try to keep Yuriko's secret safe while also trying to prevent her from going full Washuu and blowing up New York City by accident. And its never quite clear if its Yuriko or they are who are learning. I checked with the author and she says it is a PG-13 sort of book, with a lot of anime inspiration. To celebrate the release of Yuriko: A Real Girl, the author is giving away FREE copies of her two previous books, Pinch of Larceny and Golden Isis.